Kentucky’s 127 hospitals make an important contribution to the economy of the state and, through the provision of life-saving services, to the health of its citizens. The Hospital Economic Importance Report shares data on how Kentucky Hospitals affect the economy of the commonwealth and the local communities they serve. 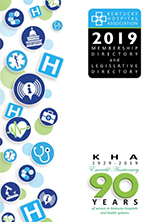 The Kentucky Hospital Association’s Kentucky Hospital Statistics is a comprehensive compilation of data on Kentucky hospitals: numbers, types and location of hospitals in Kentucky, utilization of services, hospital finances, quality indicators, workforce and the economic impact of Kentucky’s hospitals as employers. It also contains information on Kentucky’s changing demographics, as well as state rankings on: mortality, health status and utilization measures. Kentucky Hospital Statistics includes the most recent data and trends available. A comprehensive report on the programs and services Kentucky hospitals provide in relation to the IRS-defined community benefit categories. It shares the collective story of how hospitals further contribute to the overall health of the commonwealth and highlights some of the specific ways hospitals invest in their communities. General public, community leaders, legislators, hospital leaders and trustees. What is it? 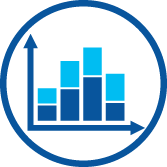 A statistical brief from the Healthcare Cost and Utilization Project (H-CUP). The report presents data from H-CUP Fast Stats on the national rate of opioid-related hospital inpatient stays and emergency department (ED) visits from 2005 to 2014. Audience: Hospital leaders, clinicians, legislators and trustees.